Two summers ago we took down all the cedar siding on Star Hill, our lake house, and put up cement board. 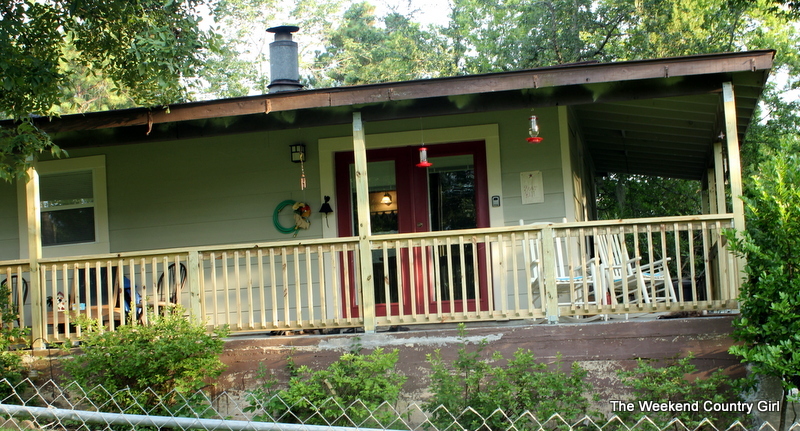 Here it is with the new siding and ugly porch. 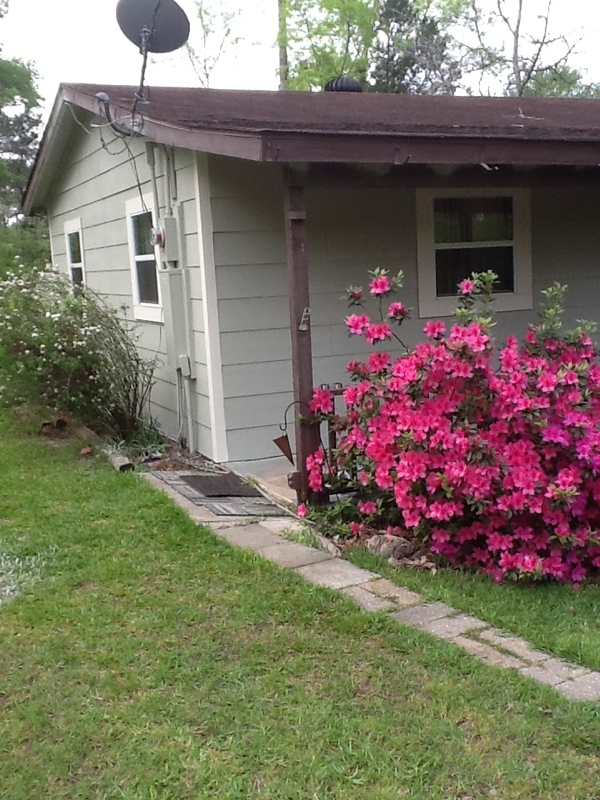 The azaleas are beautiful but take a gander at the post. That is how all the rails looked. They were rotted out out the bottoms and were never installed properly. It also has been used by others to make outdoor storage and we still have a little hanging out that Baby Boy believes will become a sauna for him… we will see. We had every intention of getting the porch done at the same time but the summer got away from us, then weddings, then job changes. You get the picture. This summer we are actually living at Star Hill so Hubby is getting it done. 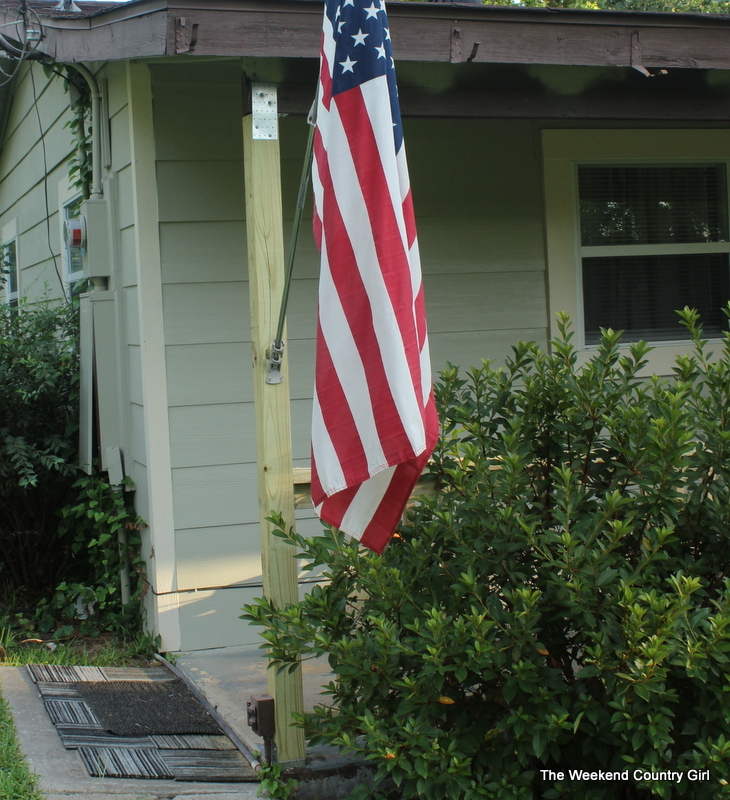 The rails and posts came down easily. 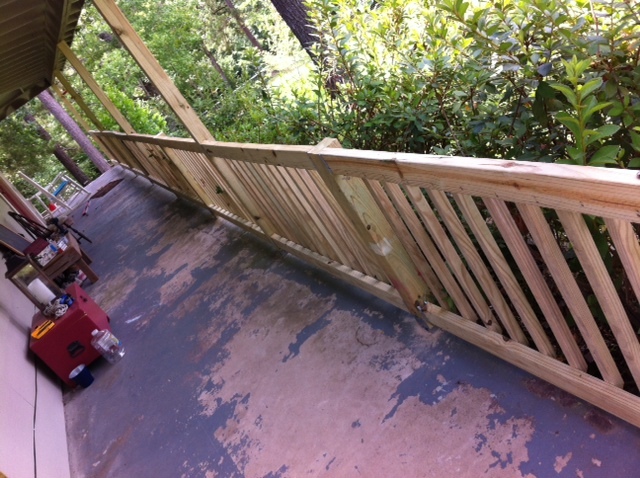 He was done in a day with the rails and did the posts one by one so he could support the roof as he went along. For some reason the railing has gone a little slower getting put back up. There is a lot of measuring, cutting and leveling involved. If you are needing to replace your railing or have installed a deck, I definitely recommend buying the railings for decks that are pre-assembled. They are $29.00 per 6 foot section. We figured it out and it costs an extra $9.00 per section to purchase them pre-assembled. Well worth the money. They make brackets now that make assembly a snap. You just have to know which bracket you need! I am so excited to get this project finished! Once the rails are up and the fascia board under the roof are replaced it is all getting a coat of paint. 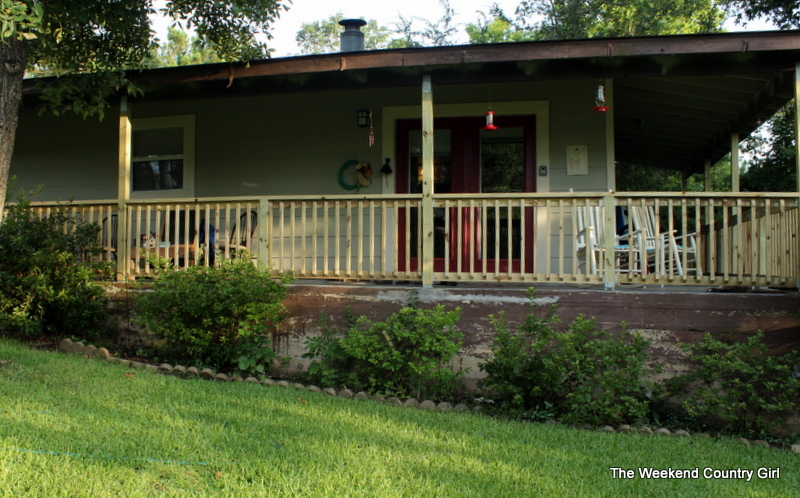 We are going to paint the porch and concrete foundation walls too. Enjoy the pictures. Eddie did a great job.